The Last of Us snagged the top spot on U.S. sales charts with Animal Crossing: New Leaf taking second. 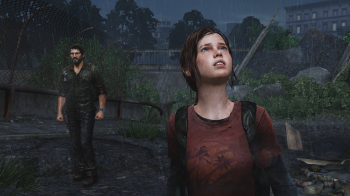 Proving that gamers all around the world love nothing better than a good opportunity to play their way into depression, The Last of Us has performed ably across a variety of markets, capturing the number one position in Japan upon its debut and holding the top spot on UK sales charts for, as of last count, five weeks straight. Gamers wondering how Naughty Dog's tale of a future gone wrong has done in the United States, however, don't need to wonder any further. NPD group has released its June report, which shows that The Last of Us handily captured the number one spot in the United States. Following it at number two is Animal Crossing: New Leaf, likely purchased by people trying to cheer themselves up after beating The Last of Us. It's worth noting that NPD doesn't track digital sales, something that could stunt figures for a game like Animal Crossing. That said, we still wouldn't be surprised if The Last of Us (also available digitally) legitimately did capture its high position on the sales charts. According to reports, Naughty Dog's post-apocalyptic romp managed to move more than 3.4 million copies worldwide in its first three weeks on the market. It goes without saying that more than a few of those copies found their way into the hands of American gamers. Now, all that's really left to do is wait and see where it goes in the future. Such positive performances generally lend themselves, especially in the game industry, to sequels. That being the case, we're not sure, given the contents of its story, if The Last of Us is a game that really needs a part two. That said, players hoping for a chance to return to the game's world can take solace in DLC that Naughty Dog has promised for the future.